Is there a secret you would kill to know? 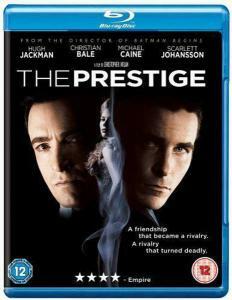 In this electrifying, suspense-packed thriller from director Christopher Nolan (Batman Begins, Memento), Hugh Jackman and Christian Bale play magicians whose cutthroat attempts to best each other plunge them into deadly deceptions. Scarlett Johansson also stars as the stage assistant who's both a pawn and player in their rivalry. A brilliant supporting cast (including Michael Caine and David Bowie). An ingenious story. An astonishing payoff. Once you see The Prestige, you'll want to see it again. Watch closely.